News Flash: Woolly Wormhead isn't woolly any longer. Or wormy of head. This threw me momentarily when I met her at TNNA this past summer. I wasn't actually sure it was really her. But, she assured me, it was. She has a non woolly and wormy name too, which seemed a better bet under the circumstances. Whatever one calls her, however, she and her hats are always fabulous. I had a terrific time talking with her after finally meeting her! I am feeling really rather fortunate to be participating in the blog tour for her latest book, the charmingly named Bambeanies. (I love puns!) 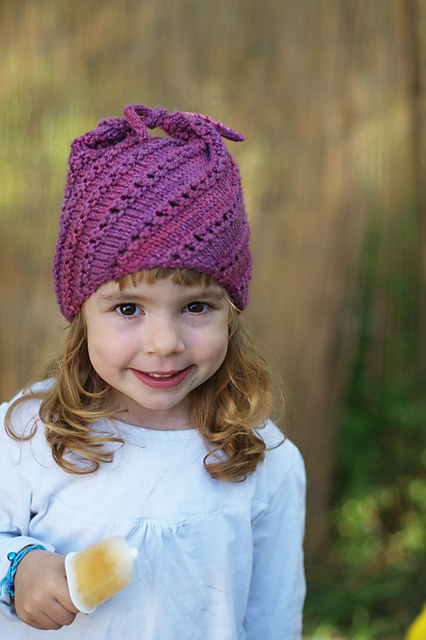 It's a book of wee hat patterns with adorable wee models to show them off to perfection. And it couldn't have come at a better time for me. I owe several babies some knitted love, and these are absolutely perfect. My very favorite of all is Nupkin. Though, I have to admit that the babies for whom I am knitting are all boys. Every one of them. So Bimple is likely to be the pattern most used in this house. Isn't it cute?! Adorable! I love the Nupkin. They are adorable hats. It would be hard to choose which to knit first. I so need a nupkin! It is my absolute favourite. With the holidays approaching and a gaggle of little ones on my knit-worthy list, this book is just the ticket! I love Woolly's designs, and I'd love to win the book! Lovely designs, and beautiful models! I would love to win a copy of the book! So cute & hard to choose just one. Her hats are the greatest! And I have been in love with the Bambeanie collection since day 1!! And thank Gosh I have 3 nieces and a Goddaughter!! Adorable! I would love to win the book! This looks like a wonderful book. Have lots of little heads to cover. Book, book, book! Here, book! What a fabulous collection of hats for the little ones! 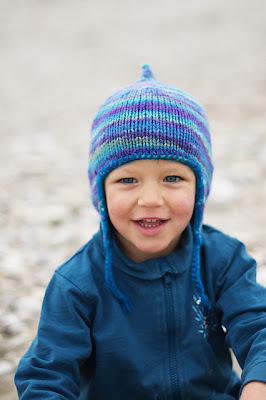 I have lots of grandkids and would love to cover their heads during the cold winter days!! They're so cute.. kids and hats equally. Only problem is that I'm going to have to resize a couple of those hats for my noggin too after knitting them for my kids and some other little peeps I know. Of course. I won't have their cuteness factor. Such great designs.....picking a pattern will be difficult! Beautiful hats! Thanks for the chance to win. I am totally into hats now--kids and adults. These are wonderful and I'd love to win! I have 2 wee ones of my own and several others who could rock these hats! Nice review and fun giveaway. Such adorable-ness! There's a little girl in my life that would look delicious in any one of those cute hats! I love her designs and would love the book! The models are so cute, makes me look forward to being a Grandma (in the future though... no rush)! I'd love to knit some of these for my granddaughters!! Wow! Those are great hats! I might be tempted to size up! Nupkin is adorable and really set off by the yarn she chose. Please throw my name into the hat (ha-ha!) - I would love to knit some of these lovelies! I love each one more than the next. Would love to win the book. Such cute hats! Where to start could be a problem. I think Aurora looks like fun! This book would be perfect for all of the baby/child gifts I'm going to need to knit soon! Those are super cute! That would definitely come in handy in my family. Beautiful hats! I'd love a copy of her book. Those hats (and models!) are too flippin' cute - now, how to make my nephew and niece wear them? What knitterly delights this book holds. It is truly a "must have"! My sister is expecting, so I would really use this! Thanks for the chance. Simply TOO cute! I also have two neglected gifts and these would be perfect! TOO cute! I have two little red heads that need these hats! What cute hats!! Perfect source for a hat pattern for the next baby shower at work. Sooooo cute. And they all look fun to knit! I agree with you--the cute model really cranks up the irresistibleness of the hats. I love Moochie! Love your patterns. Would love to give some that you recommend a try as well. Thanks for a chance to win. What cute hats! I have two boys who are owed hats for this coming winter. I think this book is just what it need! Thanks! Lovely hats, on lovely heads!!!! 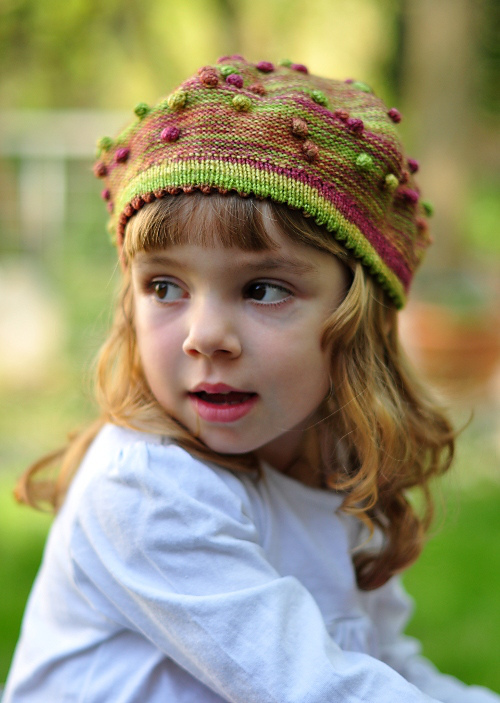 Children hats are so much fun to knit: quick, fun to show off, and useful!! Count me in!! Awwww how cute are they? What cute hats! I would love a copy of her book. Awesome designs! My daughter would like any of the hats as long as they are knit in pink! So cute! My favorite is Nupkin. It would look so cute on my granddaughter. These all look absolutely perfect hats for our grandchildren - current and an up and coming one. I would love to have a copy of this book. The designs are so cute and adorable. I have a new baby in my life and would love to knit her several of these adorable hats. Always knitting hats for charity and would love some new patterns! New granddaughter on the way. Needs a hat that's not a hand-me-down! Such fun! I would love to win a copy. I might have to make a Moochie, just 'cause the name is so cute! Love the tie on the Moochie hat...and the alfalfa sprout on Bimple! Ohhhhhh, adorable hats on adorable kidlets. I would love to have these patterns. Yay! Next to shawls, baby hats are my favorite thing to knit! What fun! I love making baby/toddler hats. They go so quickly. My grandson and just turned 4 month old granddaughter NEED these hats! pick me! pick me! love hats, especially by Wooly Wormhead. I have a new grandbaby that needs LOTS of hats!! Happy to be back in the land of the KNITTERS!!! This is something my granddaughter would love! Oh this collection would be timely -- a step-grandchild is due any day now. Thanks for the chance. I love these hats. They are all so unique and would be great fun to knit. The models are adorable. I know a couples of youngs persons how be happy to weare it. 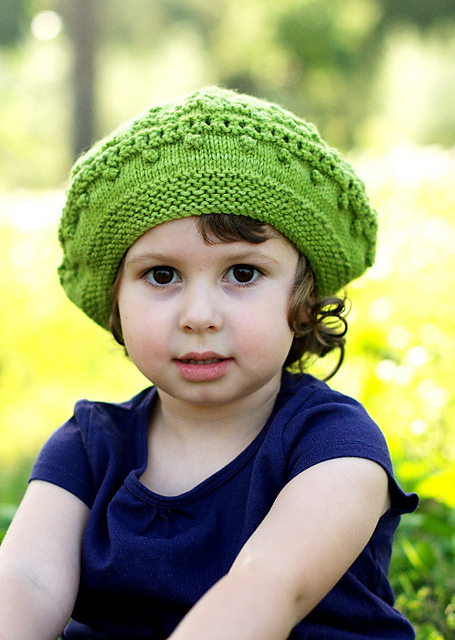 I've never really been one for knitting hats for children, but those you've featured are enough to inspire me! There are 4 young ones in our immediate family and one on the way for a friend who would LOVE one of these! These would be adorable on my 5 year old! Oh, please pick me, my grandchildren would look delightful in those hats. So cute, and it certainly helps to have such adorable models, too! I love them all! Some new hat patterns for tots would be fabulous. LOVE the pictures, and the hats! Count me in for a chance to win! They are just gorgeous. I think you're right about the cute models! The hats and models are adorable and I have a great-niece that will look adorable in them. She's very stylish for a 7 yr old. Thanks for the opportunity.